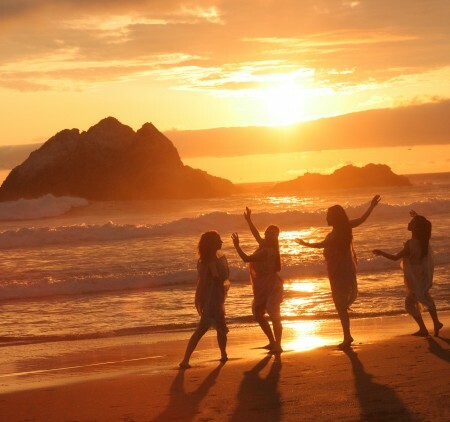 These special workshops will introduce basic Duncan dance concepts and technique to students who would like to experience Duncan dance for the first time or for those looking to keep up their technique. 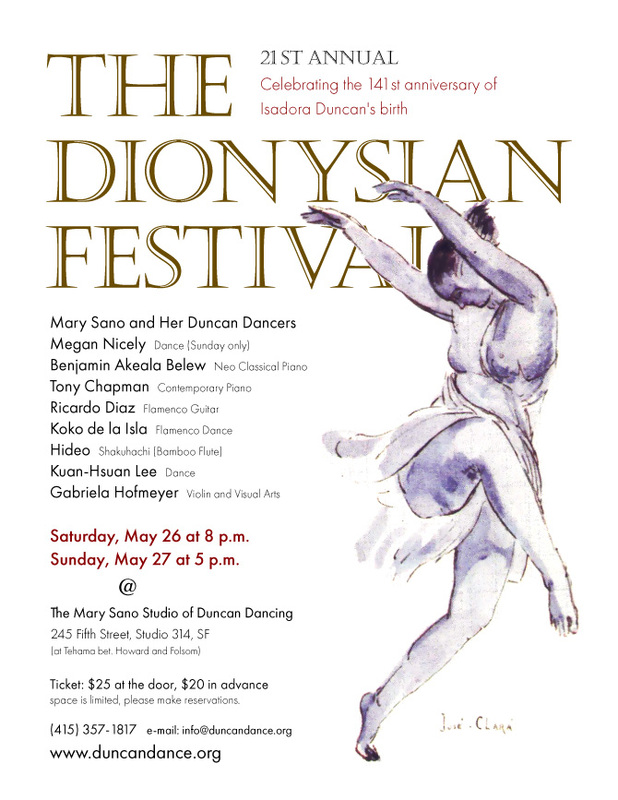 Each session, Ms. Sano, an expert on Duncan dance and a third generation Duncan dancer will teach the essence of this tradition in a friendly and positive atmosphere at her dance studio. Bring your Duncan tunic if you have one, and if not, we’ll make one! 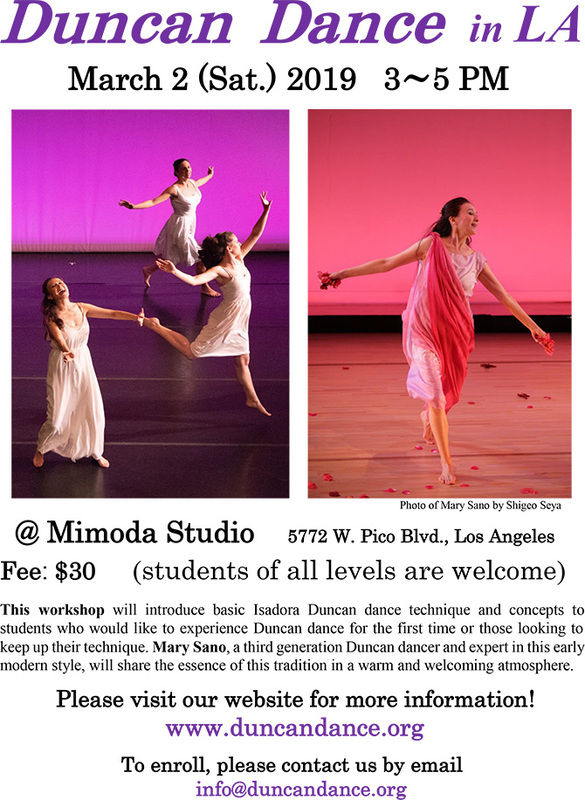 Please contact us for workshop registration by sending email to info@duncandance.org or calling 415-357-1817.